Many leading economists agree that while the impact of the homebuyer tax credit were substantive, the effects were temporary. Without an extension, home prices are expected to stay flat for an extended length of time. See the following post from The Mess That Greenspan Made. Following comments noted here not long ago b y FHA Commissioner David Stearns – something about the U.S. housing market being “a very sick system” due to the load the FHA is carrying – come a few thoughts about the recently expired homebuyer tax credit from the head of Fannie Mae and the chief economist at Zillow via this report at Bloomberg. The federal homebuyer tax credit shifted demand in the U.S. housing market without having a lasting impact on prices, according to Douglas Duncan, chief economist of Fannie Mae, the largest mortgage financier. “It actually created some price appreciation that’s not supportable long term,” Duncan said of the tax credit. 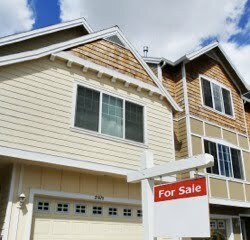 Stan Humphries, chief economist at real estate data provider Zillow.com, said one in five homebuyers who used the tax credit wouldn’t have bought a home without it. Humphries said he also doesn’t expect the credit to have a permanent impact on U.S. home prices. It seems that the only way for the tax credit to have a lasting impact on home prices is if Congress makes it permanent – don’t be surprised if that’s what happens later this year when, with an election quickly approaching, the folks in Washington decide that giving away more borrowed money might better their chances of staying off the unemployment rolls.